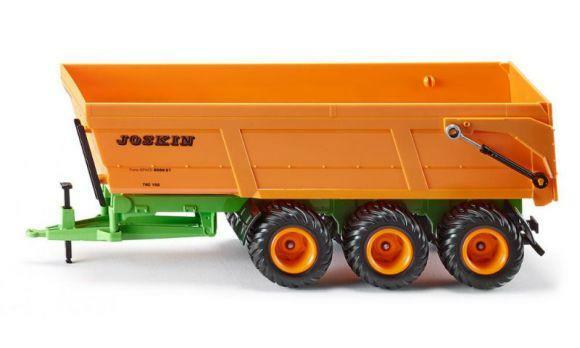 The mighty Joskin tipper trailer Trans-Space model is available in the largest edition. 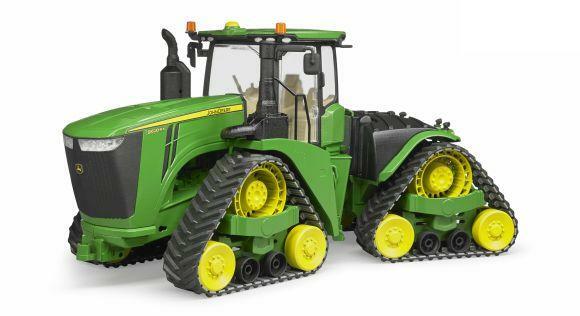 The 3-axle chassis is produced in die-cast metal and the powerful tyres have agricultural track. The tilting tipper with opening rear flap is made of sturdy plastic. Just as I had hoped. It seems robust and both an accurate model and an interesting toy.